A proof of concept created to showcase a dashboard portal for investment firm BlackRock. 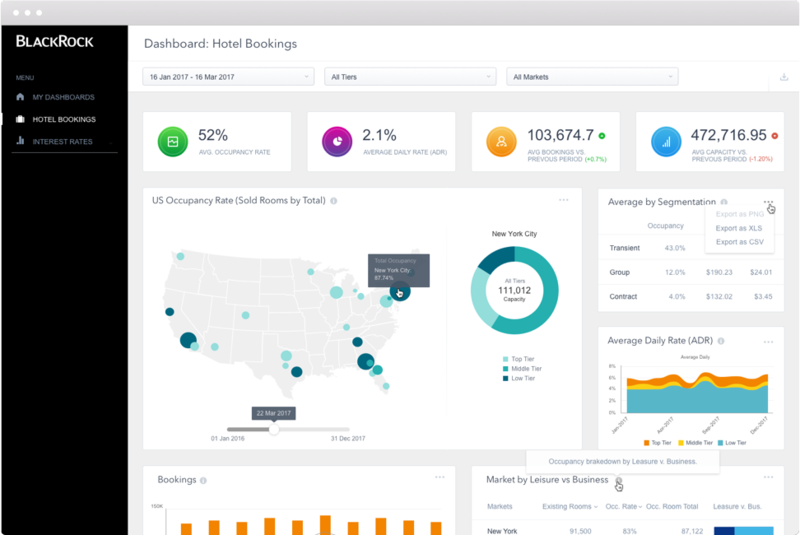 Hotel bookings data was fed into Google Data Studio from Big Query. Types of visualizations vary from interactive maps to area graphs and sankey diagrams to illustrate to the firm the potential of a cloud based solution for research analysts.